Led by Editor-in-Chief Demosthenes Katritsis, along with Section Editors Andrew Grace (Arrhythmia Mechanisms/Basic Science), Hugh Calkins (Clinical Electrophysiology and Ablation) and Angelo Auricchio (Implantable Devices) and an editorial board of world-renowned physicians, AER publishes peer-reviewed articles that aim to provide timely updates on the most pertinent issues in the field. For information on submitting an article, please contact Ashlynne Merrifield, Managing Editor, ashlynne.merrifield@radcliffe-group.com. Frequency: Four print issues per year (March, June, August, November); ePub ahead of print throughout the year. Indexing: PubMed, PubMed Central, Crossref, Emerging Sources Citation Index (ESCI), Scopus and the International Scientific Index (ISI). AER aims to assist time-pressured physicians to keep abreast of key advances and opinion in the arrhythmia and electrophysiology sphere. AER comprises balanced and comprehensive articles written by leading authorities. The journal provides comprehensive updates on a range of salient issues to support physicians in continuously developing their knowledge and effectiveness in day-to-day clinical practice. The journal endeavours, through its timely teaching reviews, to support the continuous medical education of both specialist and general cardiologists, and disseminate knowledge of the field to the wider cardiovascular community. 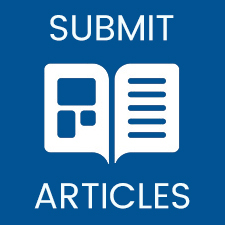 The journal consists of review articles and editorials. The structure and degree of coverage assigned to each category of the journal is the decision of the Editor-in-Chief, with the support of the Section Editors and Editorial Board. Articles are fully referenced, providing a comprehensive review of existing knowledge and opinion. AER is guided by overall direction from the Editor-in-Chief, supported by Section Editors and an Editorial Board. AER’s contributors are recognised authorities in their respective fields. Peer review is conducted by members of the journal’s Peer Review Board and other experts appointed for their experience and knowledge of a specific topic. AER is supported by an experienced team of Editors and Technical Editors. On submission, all articles are assessed by the Editor-in-Chief or Managing Editor to determine their suitability for inclusion. The Managing Editor, following consultation with the Editor-in-Chief, Section Editors and/or a member of the Editorial Board, sends the manuscript to members of the Peer Review Board, who are selected on the basis of their specialist knowledge in the relevant area. All peer review is conducted double-blind. Following review, manuscripts are either accepted without modification or accepted pending modification, in which case the manuscripts are returned to the author(s) to incorporate required changes, or rejected outright. The Editor-in-Chief reserves the right to accept or reject any proposed amendments. Once the authors have amended a manuscript in accordance with the reviewers’ comments, the manuscript is returned to the reviewers to ensure the revised version meets their quality expectations. Once approved, the manuscript is sent to the Editor-in-Chief for final approval prior to publication. Contributors are identified by the Editor-in-Chief with the support of the Section Editors and Managing Editor, and guidance from the Editorial Board. Following acceptance of an invitation, the authors and Managing Editor, in conjunction with the Editor-in-Chief, formalise the working title and scope of the article. Subsequently, the Managing Editor provides an ‘Instructions to Authors’ document and additional submission details. The journal is always keen to hear from leading authorities wishing to discuss potential submissions. Please contact ashlynne.merrifield@radcliffe-group.com for further details or view the Information for Authors. At this time, Radcliffe Cardiology provides free educational content to cardiologists and allied healthcare professionals. The vast majority of our content is editorially independent, developed at our own cost. AER is distributed quarterly through controlled circulation to general and specialist senior cardiovascular professionals in Europe. All manuscripts published in the journal are free-to-access online. AER is the official journal of the British Heart Rhythm Society (BHRS) and is disseminated directly to BHRS members with the mutual goal to improve patient care and extend lives by treating arrhythmias. Find out more about this partnership by reading the press release here. AER is abstracted, indexed and listed in PubMed, Crossref and the Emerging Sources Citation Index (ESCI). All articles are published in full on PubMed Central one month after publication. Radcliffe Cardiology is the sole owner of all articles and other materials that appear in AER unless otherwise stated. Permission to reproduce any part of an article should be sought from the journal’s Managing Editor.